Did you know you pay no estate taxes on gifts you make to the Federalist Society through your will? A bequest to the Federalist Society can be a gift of a specific dollar amount, publicly traded stocks or securities, or a percentage of your estate. You can also name the Federalist Society as a contingent beneficiary if someone named in your will is no longer living at the time of your passing. A bequest to the Society is easy to arrange and can be made by including the following words in your will. "I give, devise, and bequeath to The Federalist Society for Law and Public Policy Studies, 1776 I St. N.W., Suite 300, Washington, D.C. 20006, (insert amount of money, publicly traded stocks or securities, or percentage of estate) to be used for its educational purposes." A bequest to the Society may be made in the form of cash or publicly traded stocks or securities. 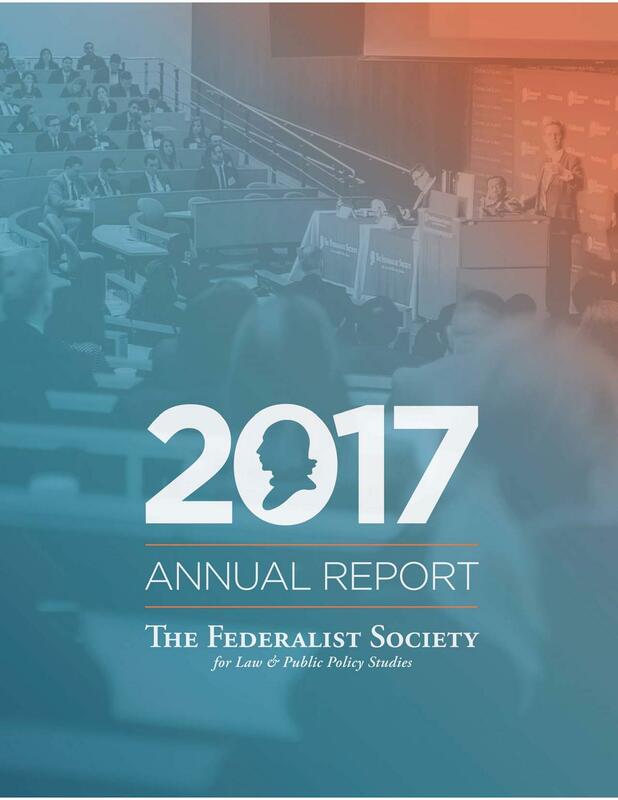 The Federalist Society can also be named as the beneficiary of assets which often pass outside of a will, such as IRAs, pension plans, or life insurance. For more information please call our Development Director Cynthia Searcy at (202) 822-8138. The Federalist Society is a tax-exempt 501(c)(3) charitable organization. Our federal tax identification number is 36-3235550.